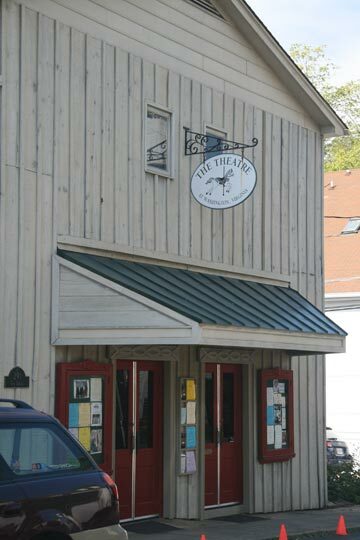 The Theatre presents a wide variety of professional musical and dramatic performances, usually on weekends, and often for one or two performances only. In addition to performing arts events presented by the Theatre, the Rappahannock Association for Arts and the Community (RAAC), presents films. Community events are also held at the Theatre from time to time. Please click on website www.littlewashingtontheatre.com to see the current season for a complete list of upcoming events. Sponsored by the Rappahannock Association for the Arts and the Community (RAAC), the RAAC Community Theatre presents plays, readings, poetry coffee houses and workshops. 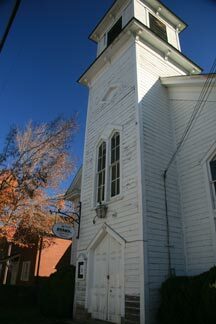 Performances and presentations are held in an historic former country church on Gay Street. For more than 25 years, RAAC has been the focal point for the arts in Rappahannock County. Its mission is to create the opportunity for all residents of Rappahannock County to enrich their lives through exposure to the arts. RAAC sponsors workshops, dances, programs, concerts, school events, cinema and other activities that enhance the community’s artistic well-being. The annual Christmas in Little Washington, featuring a parade for all ages, local food vendors, and an artisans market, will be held Sunday, December 2, 2018 from 11:00 a.m. to 4:00 p.m., with the parade beginning at 1:30 p.m. See Events for details. The Town of Washington is an equal opportunity provider. Photos primarily by Alisa Moody, Wild Country Studios. Other contributors: Ruthie Windsor Mann, John Spaulding, Donald Laffert, Kevin Adams, Raymond Boc, The Blue Rock Inn, Shenandoah National Park and John F. Mitchell.